Japp is best described as a Swedish version of Mars. Chewy nougat and caramel covered in milk chocolate. Compared to Mars it's lighter and the nougat is chewier. 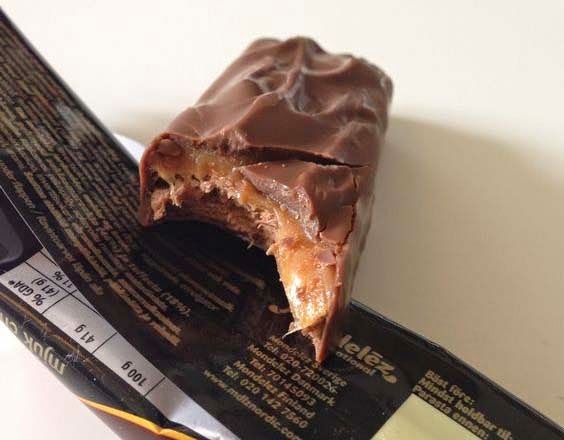 I actually prefer Japp to Mars because it's less sweet, so it doesn't become so overwhelmingly sugary with both chocolate, nougat and caramel. It's usely sold in 60 g bars but this one was a extra large King Size bar at 82 g.